To establish in the Smithsonian Institution a comprehensive women’s history museum, and for other purposes. This Act may be cited as the “Smithsonian Women’s History Museum Act”. (1) Since its founding, the United States has greatly benefitted from the contributions of women. (C) only one of the 44 monuments operated by the National Park Service specifically honors the achievements of women after the 2016 designation of the Belmont-Paul Women’s Equality National Monument. (3) There exists no national museum in the United States that is devoted to the documentation of women’s contributions throughout the Nation’s history. (4) Establishing a comprehensive women’s history museum representing a diverse range of viewpoints, experience, and backgrounds is necessary to more accurately depict the history of the United States and would add value to the Smithsonian Institution. SEC. 3. Establishment of museum. (a) Establishment.—There is established within the Smithsonian Institution a comprehensive women’s history museum, to be named by the Board of Regents in consultation with the Council established under section 4. (3) the creation of exhibitions and programs that recognize diverse perspectives on women’s history and contributions. (a) Establishment.—There is established within the Smithsonian Institution a council to carry out the duties set forth under subsection (b) and other provisions of this Act. (E) adopt bylaws for the operation of the council. (iii) the contributions of women to society. (B) to solicit, accept, use, and dispose of gifts, bequests, and devises of personal property for the purpose of aiding and facilitating the work of the museum. (1) IN GENERAL.—The council shall be composed of 25 voting members as provided under paragraph (2). (A) The Secretary of the Smithsonian Institution. (B) One member of the Board of Regents, appointed by the Board of Regents. (iii) scholars and representatives of organizations that are committed to the study of women’s history. (3) INITIAL APPOINTMENTS.—The Board of Regents shall make initial appointments to the council under paragraph (2) not later than 180 days after the date of the enactment of this Act. (1) IN GENERAL.—Except as provided in this subsection, each appointed member of the council shall be appointed for a term of 3 years. (C) 7 members shall be appointed for a term of 3 years. (3) REAPPOINTMENT.—A member of the council may be reappointed, except that no individual may serve on the council for a total of more than 2 terms. For purposes of this paragraph, the number of terms an individual serves on the council shall not include any portion of a term for which an individual is appointed to fill a vacancy under paragraph (4)(B). (ii) shall be filled in the same manner as the original appointment was made. (B) TERM.—Any member of the council appointed to fill a vacancy occurring before the expiration of the term for which the member’s predecessor was appointed shall be appointed for the remainder of that term. (1) IN GENERAL.—Except as provided in paragraph (2), a member of the council shall serve without pay. (2) TRAVEL EXPENSES.—A member of the council shall be allowed travel expenses, including per diem in lieu of subsistence, at rates authorized for an employee of an agency under subchapter I of chapter 57 of title 5, while away from the home or regular place of business of the member in the performance of the duties of the Council. (f) Chairperson.—By a majority vote of its voting members, the council shall elect a chairperson from its members. (1) IN GENERAL.—The council shall meet at the call of the chairperson or on the written request of a majority of the voting members of the council, but not fewer than twice each year. (2) INITIAL MEETINGS.—During the 1-year period beginning on the date of the first meeting of the council, the council shall meet not fewer than 4 times for the purpose of carrying out the duties of the council under this subchapter. (h) Quorum.—A majority of the voting members of the council holding office shall constitute a quorum for the purpose of conducting business, but a lesser number may receive information on behalf of the council. SEC. 5. Director and Staff of the Museum. (1) IN GENERAL.—The museum established under section 3 shall have a Director who shall be appointed by the Secretary, taking into consideration individuals recommended by the council established under section 4. (2) DUTIES.—The Director shall manage the museum subject to the policies of the Board of Regents. (b) Staff.—The Secretary may appoint two additional employees to serve under the Director, except that such additional employees may be appointed without regard to the provisions of title 5, United States Code, governing appointments in the competitive service. (c) Pay.—The employees appointed by the Secretary under subsection (b) may be paid without regard to the provisions of chapter 51 and subchapter III of chapter 53 of title 5, United States Code, relating to classification of positions and General Schedule pay rates. SEC. 6. Educational and Liaison Programs. (a) Programs authorized.—The Director of the museum established under section 3 may carry out educational and liaison programs in support of the goals of the museum. (b) Collaboration with schools.—In carrying out this section, the Director shall carry out educational programs in collaboration with elementary schools, secondary schools, and postsecondary schools. (A) IN GENERAL.—Not later than 6 months after the date of the enactment of this Act, the Board of Regents shall designate a site for the museum established under section 3. (i) The site known as the “South Monument site”, located on the National Mall and bordered by 14th Street Northwest, Jefferson Drive Southwest, Raoul Wallenberg Place Southwest, and Independence Ave Southwest. (ii) The Northwest United States Capitol site, bordered by 3rd Street Northwest, Constitution Avenue Northwest, 1st Street Northwest, and Pennsylvania Ave Northwest. (i) IN GENERAL.—Each site described in subparagraph (B) shall remain available until the date on which the Board of Regents designates a site for the museum under subparagraph (A). (ii) TRANSFER TO SMITHSONIAN INSTITUTION.—If the site designated for the museum is in an area that is under the administrative jurisdiction of a Federal agency, as soon as practicable after the date on which the designation is made, the head of the Federal agency shall transfer to the Smithsonian Institution administrative jurisdiction over the area. (i) An estimate of the costs associated with each potential site. (ii) An assessment of the suitability of the space of each potential site, including size, proximity to other buildings and transportation, and other external environmental conditions, as appropriate. 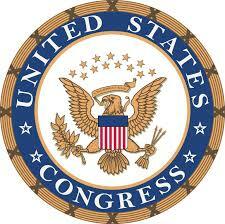 (iii) The recommendations of the Congressional Commission. (i) The Chair of the National Capital Planning Commission. (ii) The Chair of the Commission on Fine Arts. (iii) The Chair of the Congressional Commission. (iv) The chair and ranking minority member of the Committees on Appropriations and Rules and Administration of the Senate. (v) The chair and ranking minority member of the Committees on Appropriations, House Administration, and Transportation and Infrastructure of the House of Representatives. (b) Construction of building.—The Board of Regents, in consultation with the Council, may plan, design, and construct a building for the museum, which shall be located at the site designated by the Board of Regents under subsection (a). (c) Nonapplicability of provisions relating to monuments and commemorative works.—Chapter 89 of title 40, United States Code, shall not apply with respect to the museum. (d) Use of private funds for construction.—The Board of Regents shall construct the building for the museum with funds provided from non-Federal sources. (1) The term “Board of Regents” means the Board of Regents of the Smithsonian Institution. (2) The term “Congressional Commission” means the Commission to Study the Potential Creation of a National Women’s History Museum, established under section 3056 of the Military Construction Authorization Act for Fiscal Year 2015 (Public Law 113–291; 128 Stat. 3810). (3) The term “Secretary” means the Secretary of the Smithsonian Institution. (a) In general.—There are authorized to be appropriated to the Smithsonian Institution to carry out this Act, including the planning, design, and operation of the museum established under section 3, such sums as may be necessary for fiscal year 2018 and each succeeding fiscal year. (b) Availability.—Amounts appropriated pursuant to the authorization under this section shall remain available until expended. (c) Use of funds for fundraising.—Amounts appropriated pursuant to the authorization under this section may be used to conduct fundraising in support of the museum established under section 3 from private sources.